You can view a map of all Holliston Soccer fields. 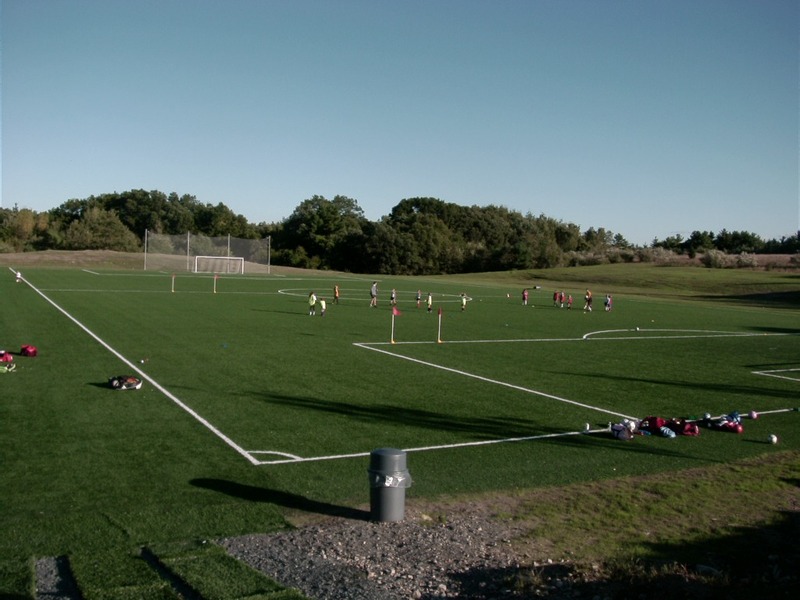 Directions to all fields are available, including Holliston Youth Soccer Fields at Marshall St. 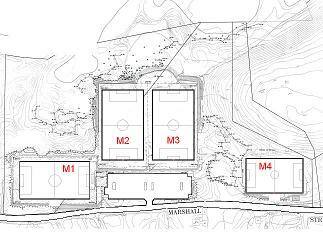 There are four fields at the Marshall St. complex numbered from left to right as 1-4 as you enter the parking lot. They are registered with BAYS and labeled as M1 (left grass), M2 (left synthetic), M3 (right synthetic) and M4 (right grass). The right grass field is not visible from the parking lot. Typically, Saturday travel games are played on M2 and M3, but some games may be scheduled for the grass. HYSA leverages the Marshall St. complex for both travel and intramural practices as much as possible. In doing so, the fields are configured for practices. Each of the two synthetic turf fields and the large grass field are divided into quadrants and the smaller grass field is divided into two. We appreciate you adhering to these simple rules and ask your consideration and assistance at HYSA’s Marshall Street fields. No alcohol or smoking on the property. No chewing gum or food allowed on the fields. Please clean up after yourself after practice and games. Please drop off and pick up inside the parking area only. Please do not stop on Marshall St. and cut through the woods or run over the hill. Parking must be utilized in the designated spots in the Marshall Street lot. Please do not block paths to the field. No on-street parking on the west-bound side of Marshall Street (side opposite the fields). Police will take notice and ticket vehicles. Parking on the street should only be utilized for overflow conditions. Please do not park by the entrance way as this inhibits visibility for cars exiting the facility. Please utilize the walkways to the field areas. Especially use the central walkway to access fields the turf fields. Please do not go around fencing and walk down the slopes. Please do not set up chairs on the inside of the fence on top of the slopes. Do not disturb or enter the grounds beyond the netting. This may be wetland area and needs to remain undisturbed. Under no circumstances should children approach these areas; Holliston coaches will take care and retrieving balls when appropriate. Please be respectful of our neighbors. Do not walk through their property. When parking on the street, consider the location of their driveways. When off the complex, be aware of the time of day and control noise. Question? Please contact Chris Guccione, Marshall St. Director.